Blanch green, wax, and lima beans, and corn kernels, for two minutes in boiling water, then plunge into ice water. 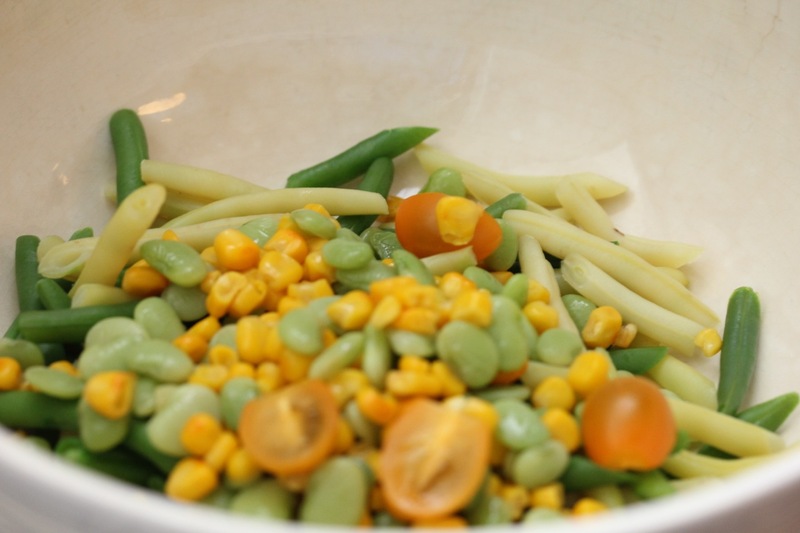 In a separate large mixing bowl, toss the blanched vegetables as well as the corn, tomatoes, zucchini, watercress and tarragon with the dressing. To Assemble: Place two crab cakes on each plate and surround with heaping amount of salad. Garnish with candied pecans and serve.